Is Ketamine REALLY Safe for Those With Mental Illness? 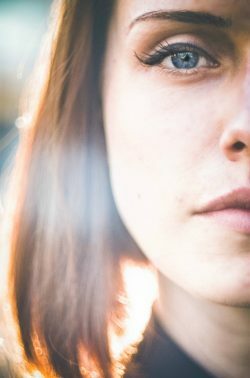 Home › Ketamine Effects › Is Ketamine REALLY Safe for Those With Mental Illness? Ketamine’s reputation as an illicit substance has cast this drug as highly addictive and capable of producing long-term health effects for chronic users. While these claims are for the most part well-founded, ongoing research into ketamine’s effects have uncovered certain beneficial effects, particularly for people struggling with mental illness. According to Pennsylvania State University, an estimated 350 million people worldwide struggle with major depressive disorder or MDD. Of this number, one million commit suicide every year. For people struggling with MMD, ketamine may well hold some promise as a treatment drug; however, serious safety concerns have yet to be resolved before ketamine can be considered safe to use. Call our toll-free helpline at 800-601-3889 if you need help finding a ketamine addiction treatment program. Ketamine’s risks outweigh its potential therapeutic effects. Beside its use as a recreational drug, ketamine also works well as an anesthetic agent for surgery purposes. Not surprisingly, many of its effects as an anesthetic agent account for its appeal as a recreational drug. According to the National Institute of Mental Health, results from research conducted in 2016 show ketamine produces a chemical byproduct that’s capable of providing rapid relief for major depressive disorder symptoms. Compared to other antidepressant drugs, ketamine effects can take hold within hours, or even minutes, which is considerably faster overall. Ketamine is able to reverse depression-based symptoms with the effects of single dose lasting up to a week or longer. Unfortunately, the same issues that make ketamine a harmful drug of abuse may well limit its effectiveness as a depression treatment. A ketamine “high” produces an altered state of consciousness that leaves users unable to interact with the surrounding environment. While the dosage amount needed to relieve depression symptoms is considerably smaller than a recreational-sized dose, a person still stands to experience a certain degree of dissociation or disconnectedness from the surrounding environment, especially when using ketamine on an ongoing basis. Ketamine works by interfering with glutamate neurotransmitter processes in the brain. The end result has a slowing effect on brain cell activities and overall brain functioning. These interactions pose certain safety concerns in terms of the effects ketamine has on memory functions. As a depression treatment, ketamine may cause actual memory impairment as well as long-term cognitive effects that impair thinking and reasoning processes. Does Ketamine Cause Cardiac Arrest? Unlike the good majority of hallucinogen drugs, the brain develops a tolerance for ketamine at an incredibly fast rate. In effect, regular users often exhibit the type of bingeing behaviors characteristic of cocaine users. Ketamine also carries a high risk for addiction in terms of the mind’s growing psychological dependence on the drug’s effects. Ketamine’s high addiction potential coupled with rising tolerance levels pose the greatest concerns regarding its use as a depression treatment. Considering how devastating major depressive disorder can be, ketamine’s therapeutic effects offer real promise as a depression treatment. Unfortunately, until certain safeguards can be put in place, ketamine’s risks will continue to outweigh its treatment benefits. If you or someone you know are considering getting ketamine addiction treatment help, we can help. Call our helpline at 800-601-3889 to ask about available treatment options. Am I at Risk of Ketamine Bladder Syndrome? Signs to Watch for - Know the warning signs of ketamine bladder syndrome so you can get needed treatment and overcome ketamine abuse.